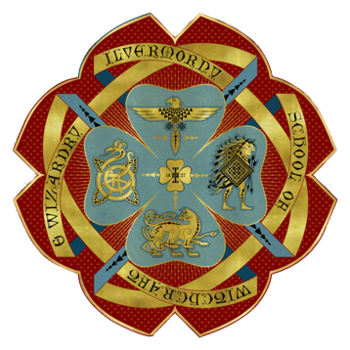 A listing of all accepted characters located at Ilvermorny School of Witchcraft and Wizardry. Wand. 10", Cherry Wood, Dragon Heartstring, Hard. Definitions are pointless, application is what matters. To allow yourself to feel empathy for those who have wronged you. Played by Goran Visnjic. This face claim is shared. Anything Else? Less savory skills include proficiency with firearms, lockpicking, cyber analysis, pharmaceuticals, stunt driving, and self-defense. He spoke Bosnian as a child but later learned Turkish and Arabic. He acquired English upon immigrating to America at age 10 with his guardian, and is fluent, though spoken with a slight accent. Jack's family were murdered by a drug cartel when he was five years old and he was rescued from a shipping crate by Tallah Ral-Shirāzi, where he was raised alongside Gavril Toreel. The two were extremely close, like brothers, until Gav got in over his head and died during a robbery gone wrong. After entering the States, Jack separated from Tallah and remained on his own for a year before an advocate for Ilvermorny approached him. Over the years he was in and out of gangs, wizarding and mundane alike, providing him with numerous contacts which he used to assist No-Maj and magical law enforcement. Eventually settled down as a professor in adulthood. Jack is a proficient duelist, but rarely demonstrates this, preferring to handle things the old fashioned way. You have been accepted into PUKWUDGIE house. The current Head of Pukwudgie is JACRAN TOREEL. Please check your private messages to receive your house COMMON ROOM PASSWORD. Even if you have graduated from Ilvermorny, you are still able to access your alumni's common room. Your occupation is HEAD OF PUKWUDGIE. On behalf of ILVERMORNY SCHOOL OF WITCHCRAFT AND WIZARDRY, we acknowledge this day, SEPTEMBER 6th 2018, to represent the momentous occasion of your 48th birthday. In honor of this celebration, please accept attached to this owl a most humbly wrapped parcel, inside which you will find one complimentary BROOMSTICK POLISH KIT, provided by one of the local shops in our area.